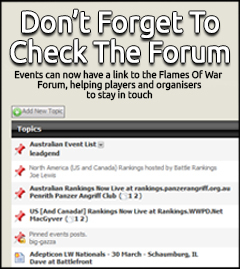 Flames of War Russia, in collaboration with Battlefront Miniatures and Portal games club proudly announces the second Russia Grand Tournament Flames Of War. The event will be 100pts Mid-War competition open to one and all and will be in Moscow, the heart of Mother Russia. 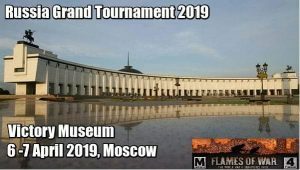 Please register at TourneyKeeper (https://tourneykeeper.net) and contact Danila Zubok by … Continue reading "Russia Grand Tournament 2019"